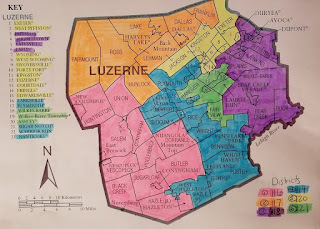 There are 6 legislative districts in Luzerne County that are based on the PA House Districts and that is how the County Democratic and Republican Parties have been organized for as long as I remember (there used to be 7) but it gets confusing. The 117th is the 2nd District. Karen Boback (R). No opponent. The 118th is the 3rd District. Mike Carroll. (D). No opponent. The 120th is the 5th District. Aaron Kaufer (R). No opponent. The 121st is the 6th District. Eddie Day Pashinki (D). Sue Henry is the Republican nominee. 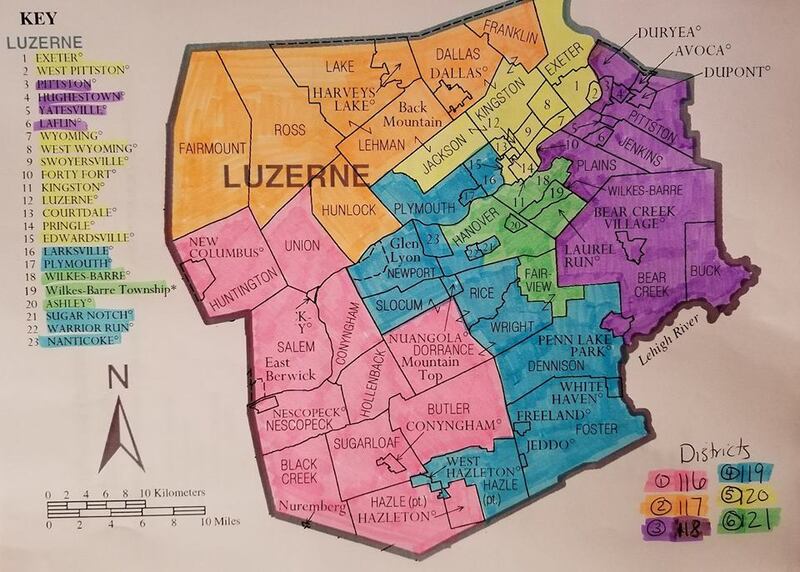 Recently the county Republican Party renamed their subdivisions to the corresponding PA House Districts. So now it's not the 5th District Republicans but the 120th District Republicans, etc. That is very progressive of them. The Democratic Party should do the same thing. Matt Cartwright(D-PA8) and John Chrin (NJ) have a lot of money to spend on teevee ads. Right out of the box Chrin was kicking Cartwright's teeth in. Sanctuary Cities, higher taxes, welfare and scary photos of the soft spoken grandmother from Sodom on the San Andreas. That's normal for a challenger to tear down the incumbent because he really doesn't have anything to offer. Read his issue page. But he does have the endorsement of the part-time occupant of the White House and his butler. In response the Cartwright campaign violated the first rule of political advertising. Never, ever let your candidate respond to an attack ad. Use a narrator, man in the street, etc. But they keep using the same approach. I have a novel idea for the Cartwright campaign. Remind us why we voted for you in 2012.